Since 1980, we have been washing priceless Oriental rugs, tapestries, Persian carpets and custom area rugs. Oriental Express is a family-owned business in southwest Nevada dedicated to excellence in service for our customers. Our in-plant facility and certified rug experts handle each Oriental or Persian rug with care and respect. VISIT OUR NEW FACILITY at 2910 South Highland Suite B Las Vegas, 89109 right around the corner from our previous address. Las Vegas is a cosmopolitan city with people from around the world coming here to live. Perhaps you arrived with fine carpets, searching for someone to trust with washing your investment-quality rugs. You may have décor which includes fine fabrics made of fibers like silk, wool or cotton in specialized weaves like damask, chenille or velvet. You are looking for someone to trust with your fabric cleaning here in the desert Southwest. Oriental Express is an oasis for your rugs with the only in-plant wash system in Las Vegas; a truly unique system designed expressly for Oriental and other special rugs. We gently and thoroughly wash and freshen your rugs, restoring them to their former glory. 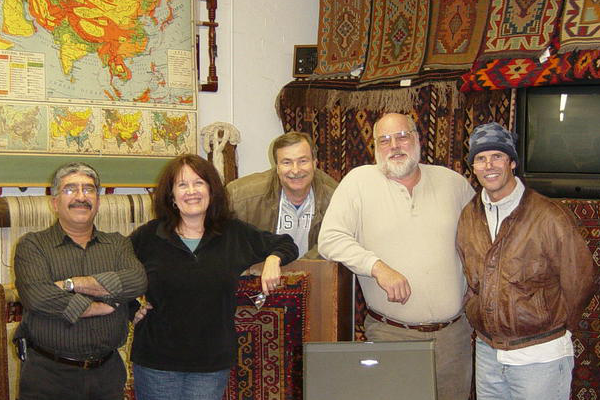 Entrust all your treasured rugs to our experienced, certified and knowledgeable staff. Our in-home services from Oriental Express provide you with the experience and expertise to clean fine upholstery and restore your treasured rugs to their best condition. Then we offer you the finest in fabric protection: MicroSeal. Look at our website and call or e-mail us with your questions. When it comes to Oriental and fine rug cleaning, we are at your service.